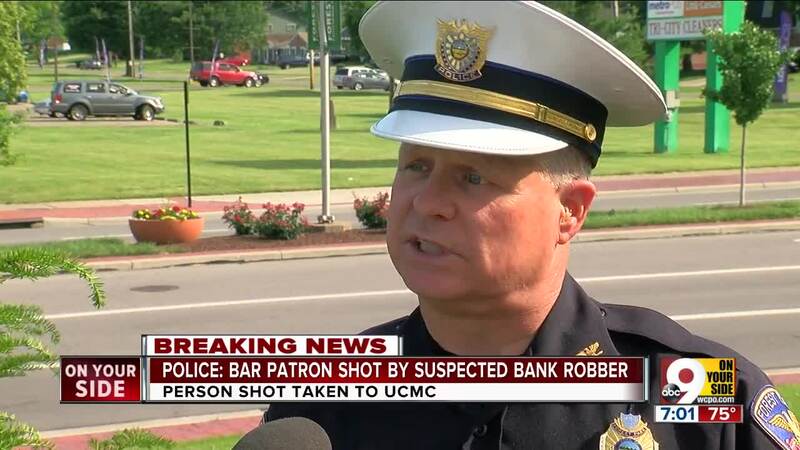 FOREST PARK, Ohio -- A fleeing bank robbery suspect attempting to shoot at police Wednesday afternoon instead shot a bystander in the head, according to Forest Park Police Chief Bill Arns. 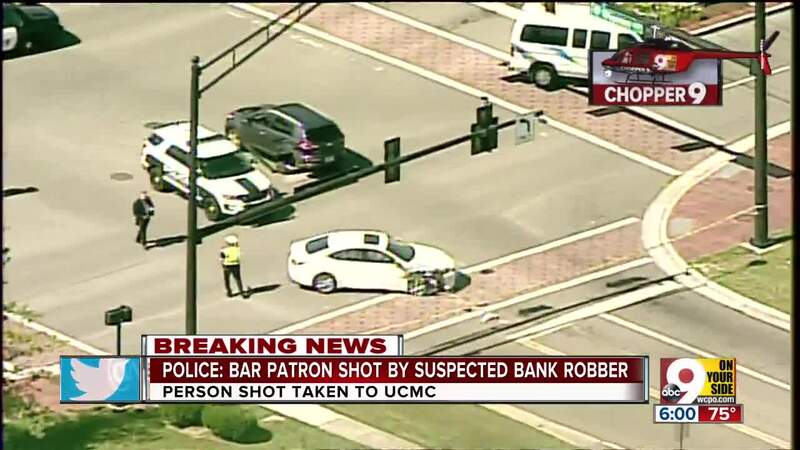 Daimeyon Smith, 35, robbed a Springfield Pike U.S. Bank at gunpoint, according to officials. Smith, who is wanted in a West Virginia killing, threatened to kill the bank tellers, according to 911 calls. "He was going to shoot us," a frightened teller told 911. "Right in our faces. ... I'm shaking so bad." Another teller loaded a tracking device into the bag and helped authorities track Smith's attempted escape down the pike. 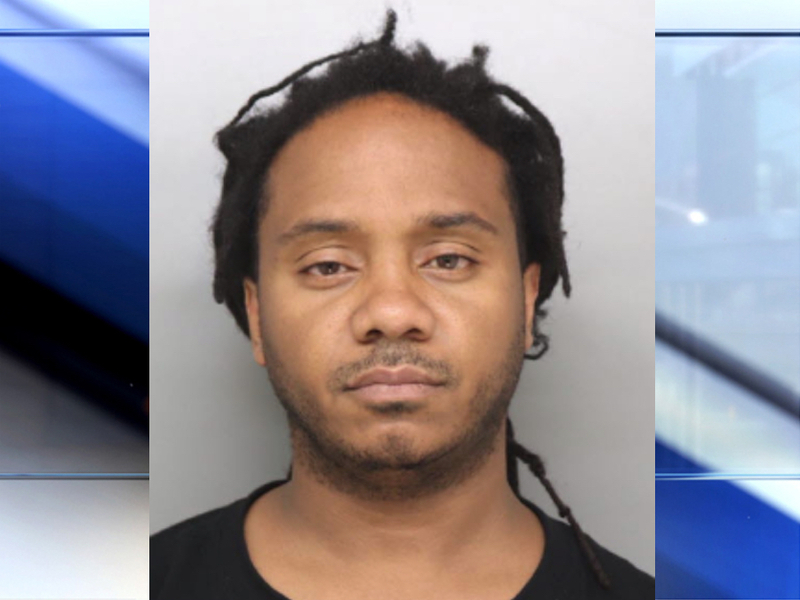 According to a news release from police, Smith's getaway ended when he crashed his car into another on Northland Boulevard. Left with no option but to surrender or run, he made one last-ditch attempt at escape: He entered the nearby Cruise Inn and fired twice at the officers following him, striking 47-year-old bystander Scott Ramsey in the head. Ramsey was alert and able to speak to first responders as they transported him to the University of Cincinnati Medical Center, Arns said. A later news release described his condition as "stable but critical." Smith was arrested at the scene after attempting to throw away his gun. The driver of the car he struck was uninjured. Smith appeared in court Friday for arraignment on charges of attempted murder and aggravated robbery. Bond was set at $1.52 million. Smith, of Dunbar, West Virginia, is a suspect in a Kanawha County murder, WSAZ reported. Police say Tanisha Hariston, 29, of Charleston, was found dead last month. She appeared to have been shot. 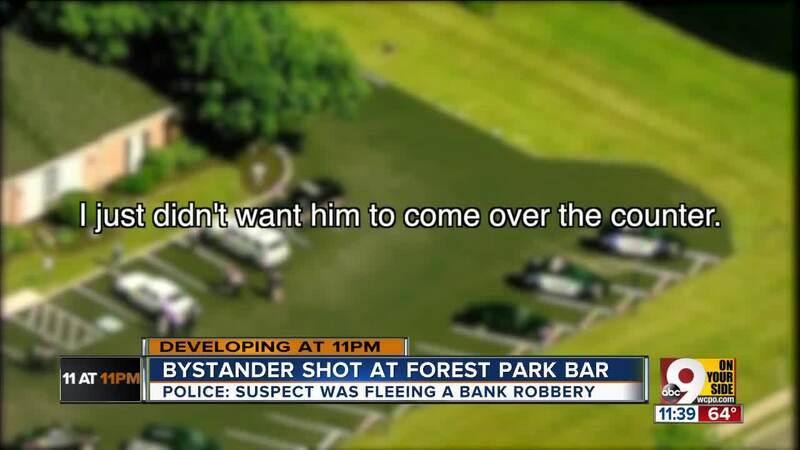 An earlier version of this story misidentified the Forest Park police chief. WCPO regrets the error.